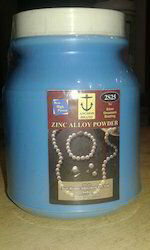 We are manufecturing red ZINC ALLOY BRAZING POWDER for brazing of siver ornaments, chains and jwellery. The above powder maintain the puerity of Silver. Mathure Metal Works Pvt. 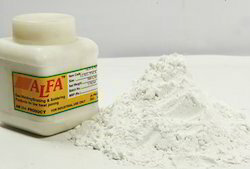 Ltd.
We have reached the pinnacle of success and earned a reputed name by providing the high-quality range of Omega Brazing Flux Powder. With firm commitment to quality, we are offering a qualitative range of Brazing Powder. We are engaged in offering a comprehensive range of Welding Flux Powder for our valuable customers. The powder we offer is characterized by no contamination or metal oxide contents. It enables a smooth welding process for any welding position. Our offered range is inclusive of Welding Flux Powder. Our range is made available at market leading prices.